Across Asia Youth Film Festival – Submit your film today! For the first time, the Across Asia Youth Film Festival (AAYFF) is coming to Vietnam. After the first two editions were held in Singapore, the third festival will take place at the International School of Ho Chi Minh City (ISHCMC), presenting an exciting opportunity for both student filmmakers and film fans. Founded in 2017 in order to give young filmmakers a chance to connect with people across the continent, AAYFF has attracted partnerships with some of the world’s top media and film companies, including HBO, Disney and Lucasfilm. The festival will bring together students from three age groups creating films across seven categories: drama, horror, animation, documentary, experimental, music video and short short. David Procter, AAYFF’s founder, shared his joy at the festival’s arrival in Vietnam. “I’m really excited that the AAYFF has moved to Vietnam, where it can take in the rich culture of one of the most rapidly developing countries in Asia”, he said. “The festival has already seen a number of winning films from students in Vietnam, but I’m looking forward to seeing more submissions from the country this year. The AAYFF also provides a wonderful opportunity for the media and film industry in Vietnam to get involved with supporting youth film”. This is also a symbol of ISHCMC’s forward-thinking mission to connect students with the international community, while also bringing innovative programmes to Ho Chi Minh City. After a successful re-launch in 2015, the New Zealand Wine & Food Festival will be held at RMIT to raise funds for charity once again. The festival will provide the good folk of Saigon with a fabulous late afternoon and evening of gourmet cuisine, delicious wines and beers, and great live entertainment. More details are available on the New Zealand Wine & Food Festival Facebook page. 16 March | 12 p.m. - 6 p.m.
Saigon Children's Charity (SCC) are organising this Premier Charitable Corporate Team-Building Event in Ho Chi Minh City, with all funds raised going to help SCC. 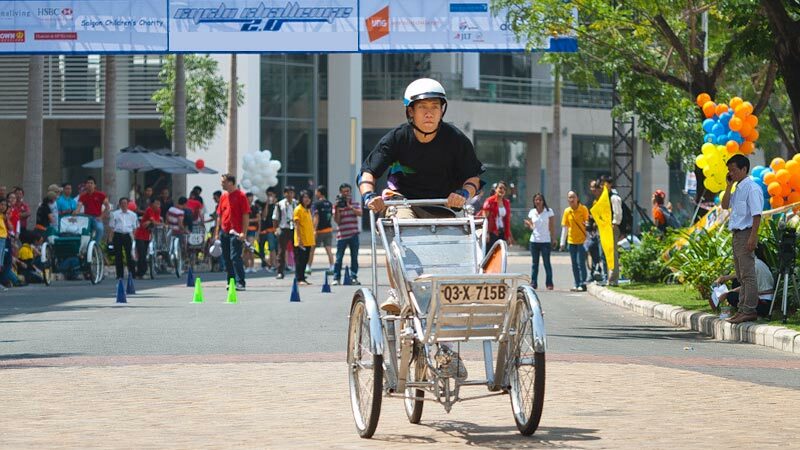 Teams compete against each other in a variety of challenges associated with Vietnam’s most famous means of transportation: the cyclo! With a combination of cyclo racing, team games, a cyclo parade and good honest fun, this unique event provides a wonderful afternoon of competition and entertainment for a really good cause: helping disadvantaged children get the chance to go to school. Head to saigonchildren.com for more information. 6 March | 6 a.m. - 10 a.m. 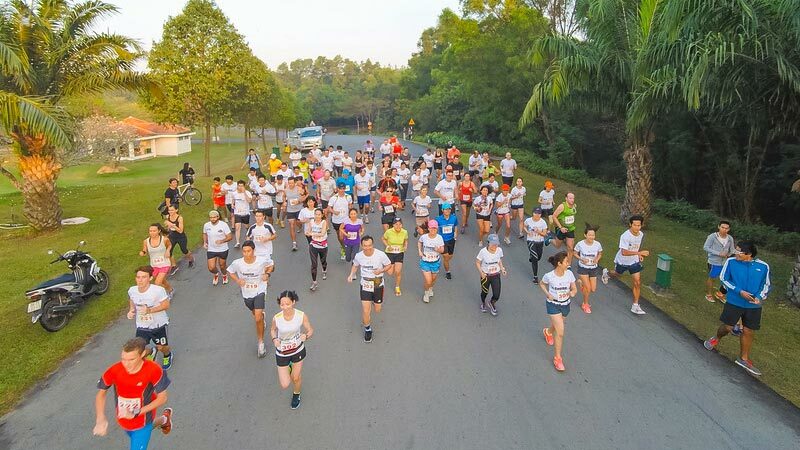 Enter this half marathon for a chance to win a round-trip from Saigon to Paris. There are two races in this competition: the 10K run which starts at 7 a.m. and the 5K run which starts at 7:30 a.m. Collect your race kit on 4 March at the French International School Marguerite Duras from 1 p.m. to 4 p.m., or on 5 March at the Nutrifort fitness center from 9 a.m. to 5 p.m. With the support of FV hospital, The Spring Race 2016 offers three categories for entry - juniors under 19, open and seniors over 40, and is limited to 400 runners. For more information or for inquiries, visit springrace2016.blogspot.com. 19 March | 7 p.m. The British Business Group Vietnam are organising this event to mark their 20th anniversary. 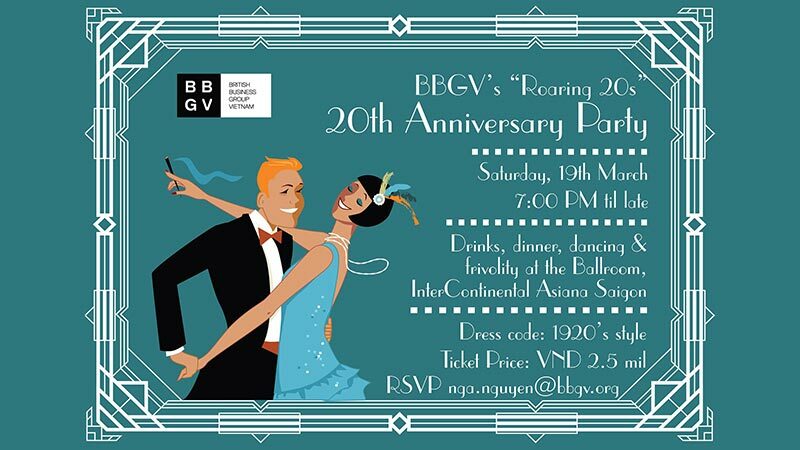 Join in on the fun at at the Ballroom of InterContinental Asiana Saigon. Enter the dancing competition or prize draw to win flights to Europe or accommodation vouchers in hotels and resorts. Tickets are VND2,500,000 each. Dress code is 1920s style. Phone: +84 28 3829 8430 Ext 107. Email: nga.nguyen@bbgv.org. This year Chill Skybar will launch “Mingle & Chit Chat” for socialites who like to spend their evenings relaxing in comfort with good friends. Join the team at Chill Skybar every day from 5:30 p.m. to 9:00 p.m. for delicious cocktails and fancy snacks for only VND 88,000. 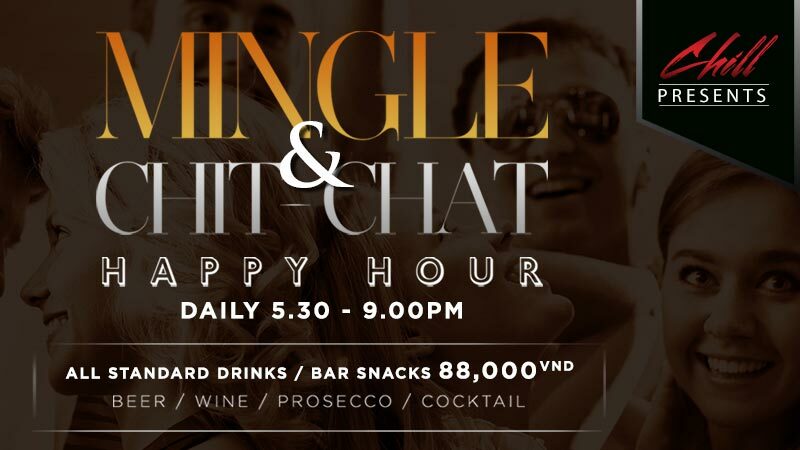 Bring your friends or come alone and meet with the Chill crowd over the lights of beautiful Saigon. Phone: +84 28 6253 8888. 27 march | 8 A.M. – 9 P.M. Prepare for another sort of colour run! The Celadon Dream Run begins at 8 a.m. in Tan Phu District, complete with the coloured powder flinging everyone loves. Performances include hip-hop numbers and a trick bike show, among others, with activities spanning rock climbing, an obstacle course, various games and more. 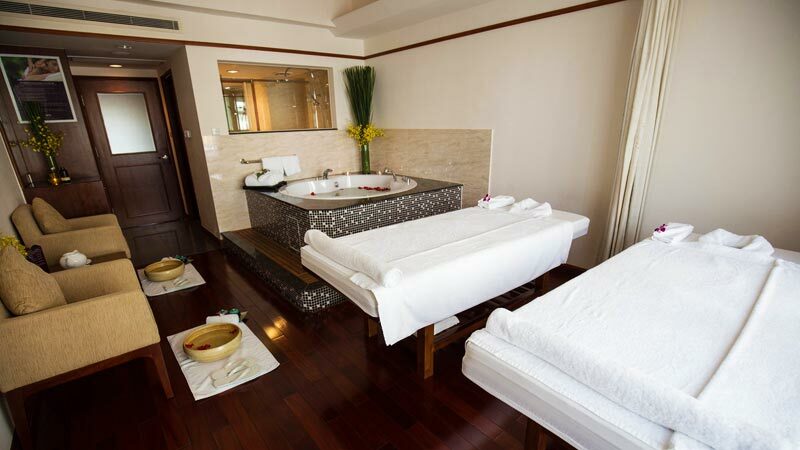 Prices begin at VND150,000 per person, with full packages priced at VND200,000. Running kits include a t-shirt, bag, colored powder and more. Tickets available on ticketbox.vn. There are so many opportunities to learn something new in good ol’ Vietnam. Here are some of the top activities offered in HCMC that will let you have fun while gaining new skills. Learning a musical instrument always seems to be one of those things that everyone wants to do but rarely have the initiative to stick with. One problem is that at the early stages it’s a solitary experience: practising on your own is nothing like the fun of playing with a full band. It’s no wonder people get disillusioned. So, why not get your band together first and learn as you go? Maximus offers group deals for exactly that reason. With a full band setup and expert tuition, you can get together, learn together and rock together. You tell stories every day, whether you’re recounting the day’s events to your friends or explaining a situation to a stranger. To take this one step further, a storytelling class can help you hone your skills and learn the fundamentals of structure, narrative and character development. Storytelling Saigon gives you and your friends the opportunity to develop your raconteur skills in a safe, easy environment, tailored to nurture your inner narrator and bring out the best you have to say. Stand up comedy is a strange business. You never know what an audience is going to like until you try it, and the people who are funniest in social situations aren’t necessarily going to succeed on stage. But it’s something that anyone with an inclination towards telling jokes should try, and it’s something that almost everyone has considered at one point or another. So, think you’re funny? Now you can find out with the help of Comedy Saigon. Founder Ben Betterby organises free workshops and shows across the city every week. Get your foot on the bottom rung and try out your inner genius. Regular competitions, workshops and prizes will keep you motivated, and expert tutors will guide you through the process with skill and compassion. You’ll be working the circuit in no time. Another definitely social activity that for some reason people learn on their own is cooking. So central to daily life, so fundamentally social at every step of the process, cooking brings us together. So why not learn it together? Gather your friends, make a booking and learn to make delicious traditional Vietnamese food with some of the best chefs in Saigon at Saigon Cooking Class. Yoga has been one of the fastest-growing physical activities of the last decade, and for good reason. It’s fantastic for your body, it’s low impact (so anyone can do it), and it teaches you about your body, mind and soul. A good instructor is key to your success, though, and there is none better than Yoga with Bee. A fitness guru and writer, Bee has been teaching yoga for the last two years. As a certified personal trainer, Bee uses yoga as one modality to keep both the body and mind balanced and flexible. Group sessions must be booked privately, so get in touch and make it happen; your body will thank you. Let’s face it: artisanal coffee isn’t going away anytime soon. The difference between a cup of Nescafé and a properly brewed flat white made with well-sourced, roasted and ground beans is huge. And what’s more, the skill and craft that goes into a perfectly poured cappuccino is truly a work of art. At the Barista School, you and your friends can learn the secrets behind a well-crafted macchiato. Contact the school to discuss group packages – you’ll never taste coffee the same way again. There may be no better way to learn about oneself than to learn how to act like someone else. Saigon Players, the city’s premier community theater, is always looking for new members, and consistently put on high-quality productions. 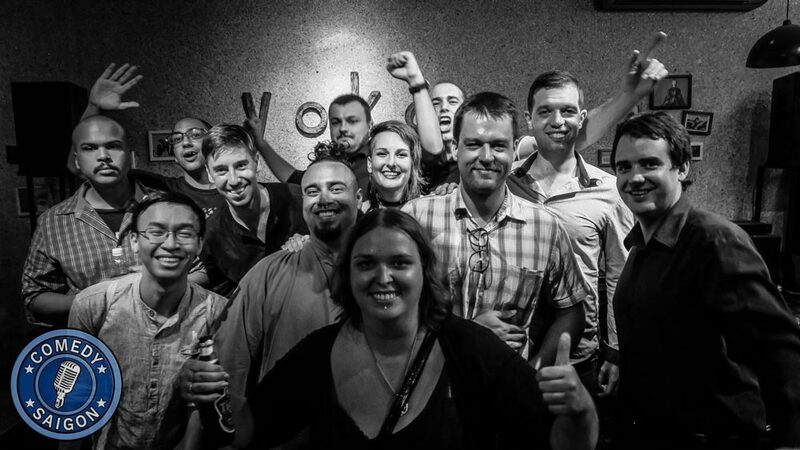 Join the group and you’ll receive peer-based coaching, instruction and feedback, helping you to realise your dreams of becoming Vietnam’s next Al Pacino or Meryl Streep. You’ll also get the chance to perform live, meet new people and explore the rich world of the thespian. Anyone who’s walked around Vietnam long enough will have noticed the dazzling array of beautiful flora throughout the country. Even if you haven't seen the wild lotus, lilies or trees around the countryside, the markets of HCMC are often full of the colours and smells of one of the richest ranges of flowers in the world. So, what better place to learn flower arranging? Get your friends together and arrange a class at Padma de Fleur to learn a skill that will provide you with a lifetime of beauty. The creation and appreciation of art awakens something profound in the soul, leaving you intoxicated by life’s majesty and wonder – much like how you probably feel after a bottle of wine. So, what better way to celebrate two of life’s wonders than by getting sloshed and attempting to paint something? If that sounds like something you’d like (and it certainly should be), Tipsy Art is the group for you. Reasonably priced and – obviously – for adults only, Tipsy Art provides all the booze, paint and canvas you need to untap your inner Vincent Van Gogh, minus the absinthe. Pottery, the fascinating, ancient craft that has been central to human development for millennia, is a fascinating and humbling art. Working clay on a wheel or by hand is an enriching experience. It also allows you to recreate that scene from Ghost… it’s not mandatory, but it’s an option. 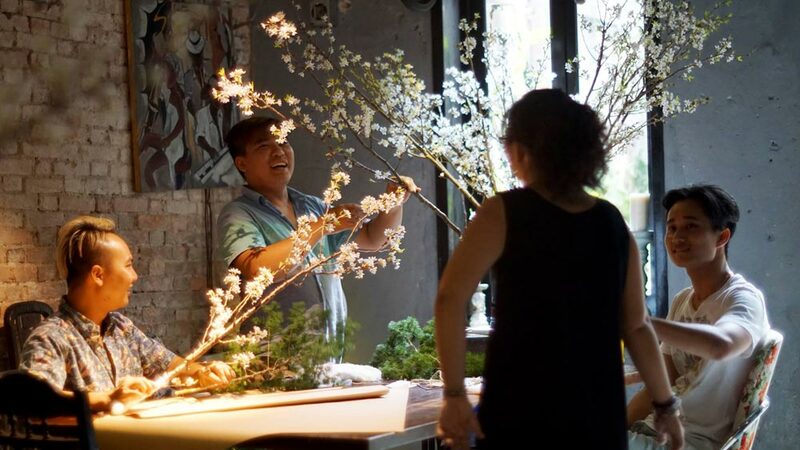 Gom Xoay offers fantastic group lesson packages that can teach you and your friends how to create your own masterpieces and, of course, take them home. Six days a week, Canadian educator Mark Bell rides a scooter to District 3’s Soul Music & Performing Arts Academy (SMPAA), determined to change the course of music lessons in HCMC. His strategy is simple: teach children to play music by winning their hearts instead of rapping their knuckles. 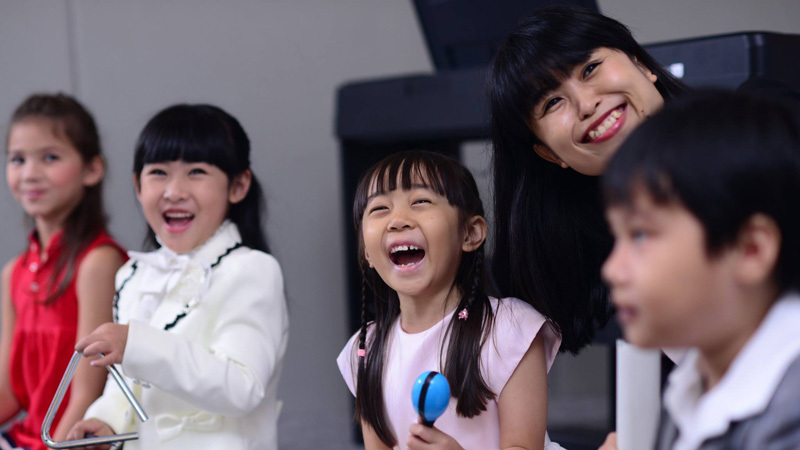 Midway through his first year as principal of the revolutionary music school, the 56-year-old church organist, choral leader and passionate teacher is excited about his mission to shape a new generation of Vietnamese musicians by teaching them in a softer and friendlier fashion. He calls his courtyard campus at 214-216 Pasteur an oasis for children where they can study music and dance in a way that will inspire them throughout their lives. There are no teacher tantrums here, and the only raised voices heard are those lifted in song. Now in its fifth year, the Soul Academy is the brainchild of 33-year-old Thanh Bui, an Australian-born Vietnamese pop star who moved his musical career to HCMC in 2010. A natural teacher with no formal training, Thanh recruited Mark to strengthen the teaching credentials of his academy. They met by chance at District 7’s Canadian International School, where Mark was the elementary principal. Having arrived early to speak at a rhinoceros conservation rally, Thanh was invited to wait in Mark’s office. It didn’t take long for Thanh to discover his host’s passion for music education. Meanwhile, Mark learned of his young visitor’s pop-star status when the students went ballistic as Thanh entered the school auditorium. 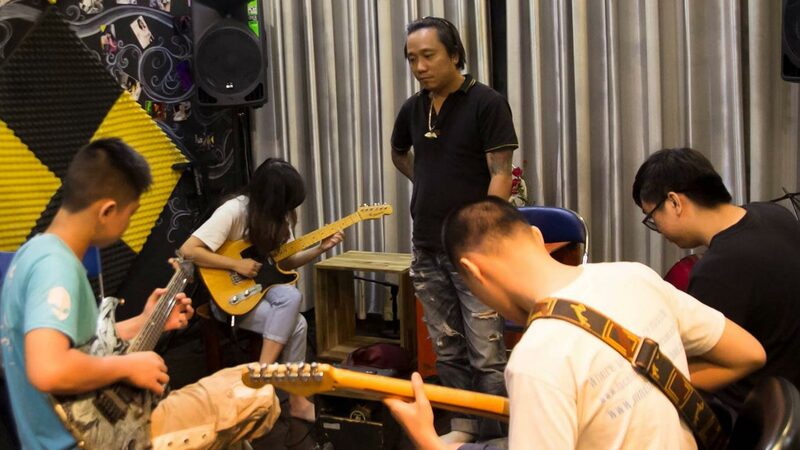 Months later, Mark agreed to run an educational training course for the musicians Thanh had recruited as SMPAA teachers, and later signed on as full-time principal of the academy. Today, SMPAA has about 600 students from age four to adult, studying voice, instrumental music and dance in the evenings and weekends. While much of the curriculum is contemporary, classical training is also offered. Students wanting a taste of public performance can audition for a number of enrichment programs, including a popular dance troupe known as The Young Lyricist, whose members serve as inspirational ambassadors of the arts for young Vietnamese. 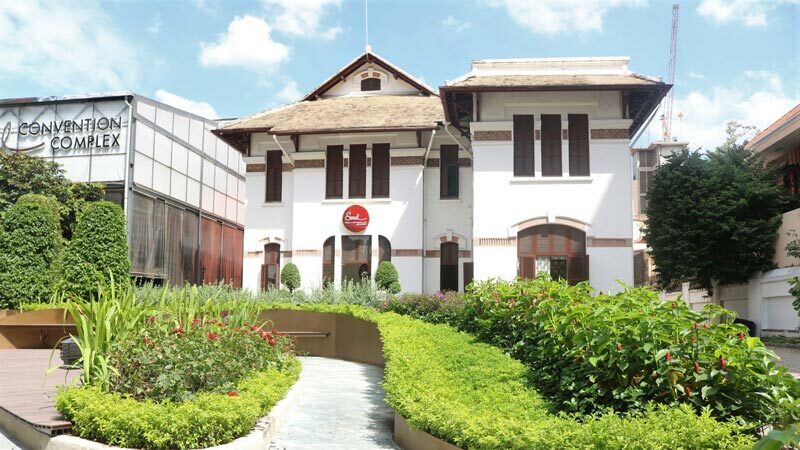 The HCMC campus now consists of three elegant heritage houses crammed with studios, classrooms and performance spaces, and there are two more buildings in the planning stage. Mark’s office is located between two drum studios whose walls do not quite shut out the sound of nine-year-old drum-kit phenomenon Trong Nhan. Mark understands the rewards of musical success as well as the sacrifices parents make for their families. The youngest of six children whose father worked three jobs, Mark was allowed to take piano lessons after a neighbour realised he was teaching himself music by replicating her young daughter’s weekly lessons. During a summer job cutting grass at a famous Catholic institution near his village home, he met a Jesuit brother who taught him to play the church’s classic pipe organ. A few years later, at age 16, he became the organist at Canada’s famous National Martyrs’ Shrine in Huronia – and its director of music, a position he held through high school and university. At 24, Mark was made executive coordinator of music for Pope John Paul II’s visit to bless the shrine. Part of his job was to amass a 700-voice choir for the visit that attracted a congregation of 70,000. Later, Mark filled his spare time as a church organist and directing community and church choirs in Toronto, and studied to become a teacher before becoming a principal. Today his passion is teaching children to sing and SMPAA is giving him the chance to work directly with young singers again. He and Thanh are influencing a new style of popular music by moving students away from the popular Korean sound that has saturated the country. Taking a visitor on a tour of the Soul Academy, Mark points out the encouraging slogans and quotes that adorn the walls. He pauses at a neon sign that spells out “Soul Live Project”. 28-29 May & 4-5 June | 5:30 P.M.
Dragonfly Theatre is excited to announce their next production, the Roald Dahl classic, “George’s Marvellous Medicine”. George’s nasty old grandma needs to be taught a lesson, and he decides the best remedy is a special home-made medicine. Join an afternoon of interactive theatre, food and fun for all the family at Saigon Outcast. Tickets available at www.ticketbox.vn and at KEPI shop, 63 Thao Dien. Every day in May | From 12 P.M.
Vin Gallery’s 2016 Spring Collection includes two pieces by Japanese Op artist Yohei Yama, who creates large-scale intricate works on canvas, and explorations into colour and form by Australian and German artists Will Whitehouse and Juergen Buhre respectively. 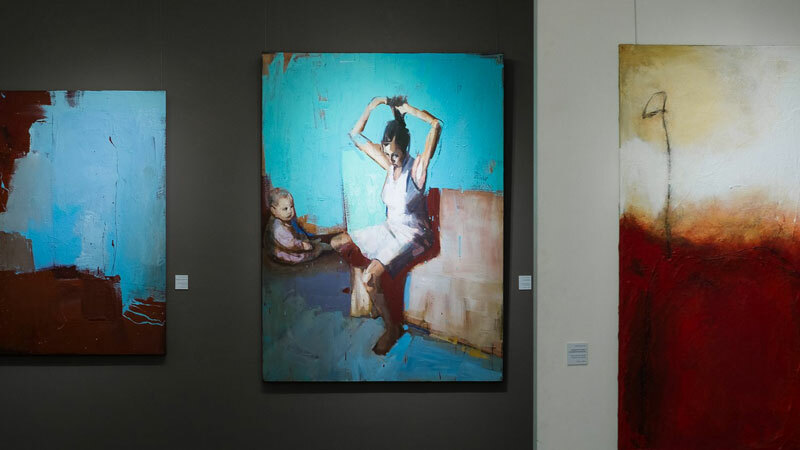 Vietnamese artworks on show include a piece by Doan Xuan Tang, fresh from his Tho Cam II solo exhibition at the gallery, and some of the portraiture work of Doan Hoang Lam. 4 June | 7 P.M. - 2 A.M.
A night of glitz, glamour, fine wines, delicious food and live entertainment. This annual fundraising event of Saigon Children’s Charity (SCC) will be taking place on Saturday, 4 June, and held for first time in the newly-renovated Park Hyatt Hotel. Don’t miss this night of style, elegance and fun, all to help raise funds to support the work of SCC. Fine champagne and wines from Moet-Hennessy (including once again the famous Cloudy Bay Sauvignon Blanc), gourmet food from Chef Marco and his talented team, a live performance from Tran Manh Tuan, and Chosen Band and DJ An. 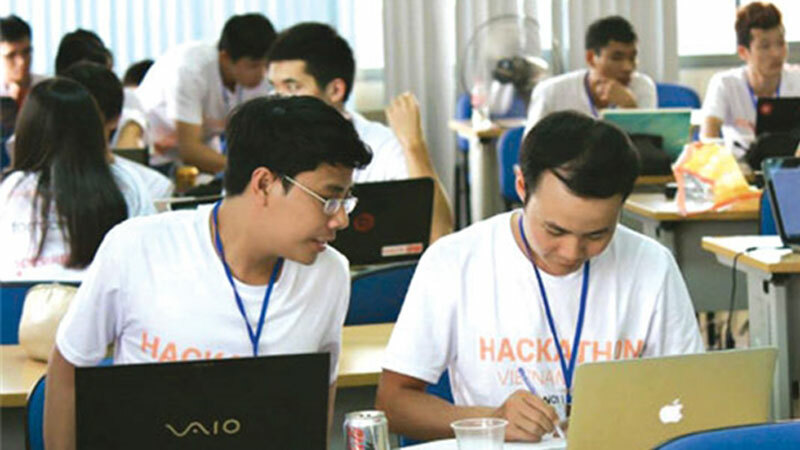 MAY 28 - 29 | FROM 9 A.M.
Angel Hack Vietnam is a two day event being held on 28 and 29 May at the Silicon Straits Saigon. After four years, more than 250 hackathons, over 72 cities around the globe, the organisers of this event have seen it all. They have noticed one thing: anyone can code. Age, race, gender, experience level, it doesn’t matter. Passion and dedication is what is needed to create apps and technologies that have never been imagined before. May 11 - 31 | From 7:30 A.M. Working as an AFP journalist from 1976 to 2006, Michel Blanchard was bureau chief of the AFP in Hanoi for two years, from 1981 to 1983. He continued to visit Vietnam for over ten years as a writer of travel guides. The exhibition will be a unique opportunity for the Vietnamese to savour the nostalgia of the country before the great transformation of the 1990s took place. Free Admission. Phone: +84 28 38295451. June 24 - 26 | 9 P.M. - 11:59 P.M. 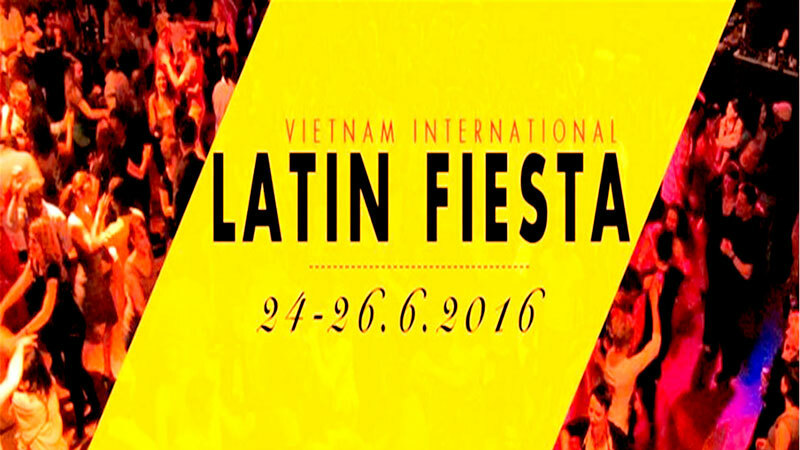 The 2nd annual Vietnam International Latin Fiesta is happening from 24 to 26 June, 2016. A new destination for all latin dancers/lovers - Ho Chi Minh City, famous for its friendly people, street food and vibrant atmosphere. A three night latin event, full of performances, workshops and social dances. Interactive performing arts project Oxymoron combines dance and visuals in trip-hop music. A collaboration of four duos, each known for their distinctive performance in popular events around the city in DJ, VJ, hip hop dance and ballet. Oxymoron represents a journey in which two opposite sides of one’s self-identity try to live together and complete each other. On the other hand, it will reflect the way one looks at themselves and their relationship with the world through music, dance and visuals. Every Thursday | 5 p.m. to 8 p.m.
Join us at The Lounge every Thursday for an evening of good taste. 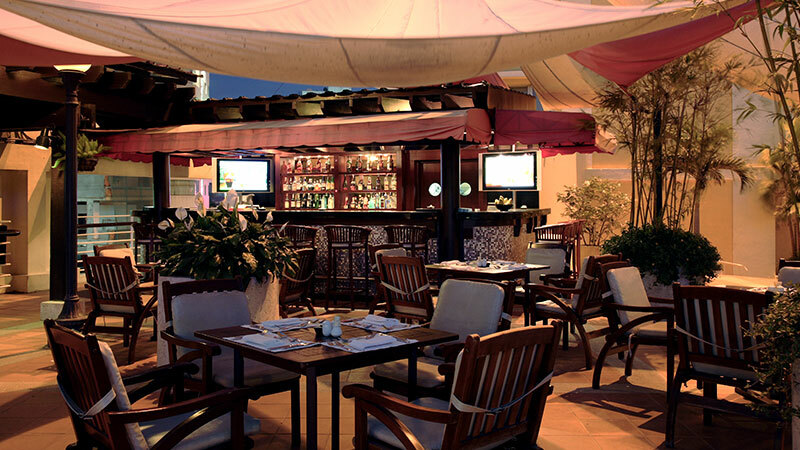 The Lounge proudly presents more than 10 different wines and a selection of homemade tapas for your enjoyment. 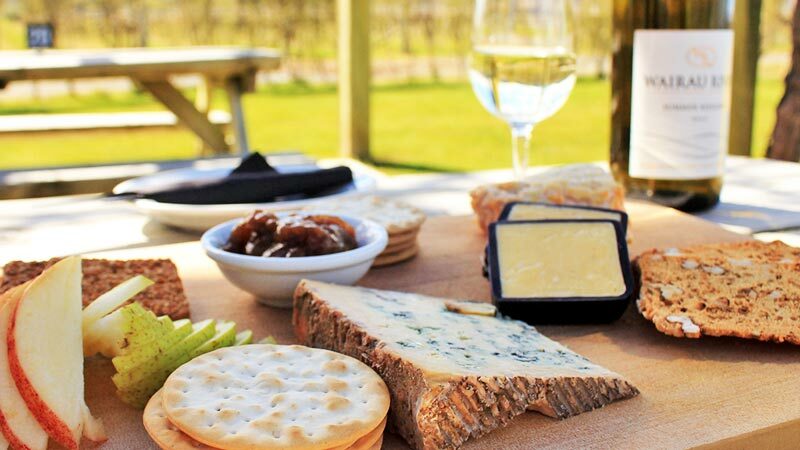 Food and drink items change monthly and this wine tasting experience is for three full hours of free-flowing wine and snacks. 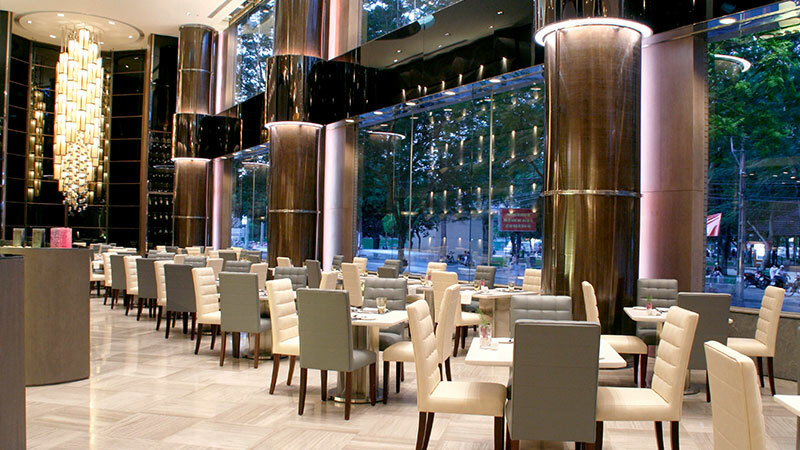 Terms and conditions: Club Epicure member’s discount is applicable. Group dining voucher and complimentary voucher are not applicable. Offer cannot be combined with any other promotion. Offer is subject to availability. Priced VND250,000++ per person. Phone: +84 28 3829 4000, ext. 2238. Email: saigon@newworldhotels.com. Red Bull Champion Dash is back! 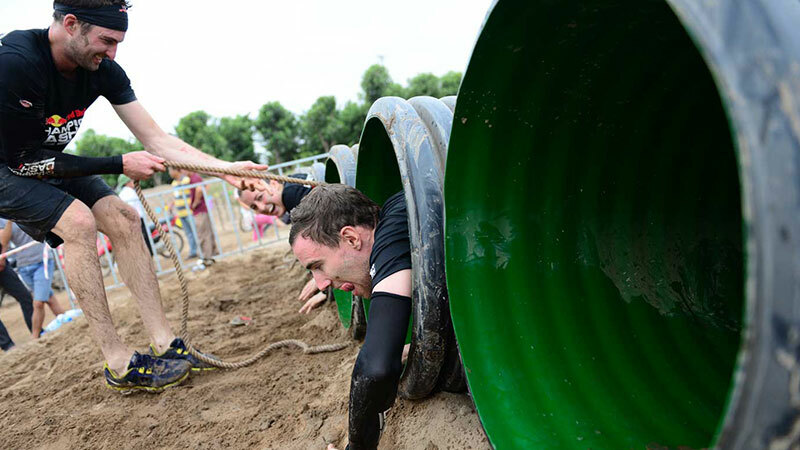 The Champion Dash delivers a unique experience that brings together true teamwork, physically and mentally challenging obstacles and a real sense of team spirit and accomplishment. The biggest and most adventurous entertainment sport tournament in 2016. Get ready! Details: 123go.vn/en/champion-dash. Tickets: VND595,000 (before 31 March), VND750,000 (after 31 March). 16 April | 12:00 p.m.to 10:00 p.m.
Organisers Saigon Outcast are once again running this highly popular water fight, the big surprise event of 2015. Top local and international DJs, bouncy castle, slip n’ slide, a dragon drumming battle, dancers, water cannon, paddling pools and water slides. Come along and join in the fun to welcome in the Thai new year, Saigon style. Tickets: VND260,000 (in advance) VND360,000 (at the door). Tickets include 10 balloons and a bottle of water. 16 April 2016 | 3 p.m. to 9 p.m. 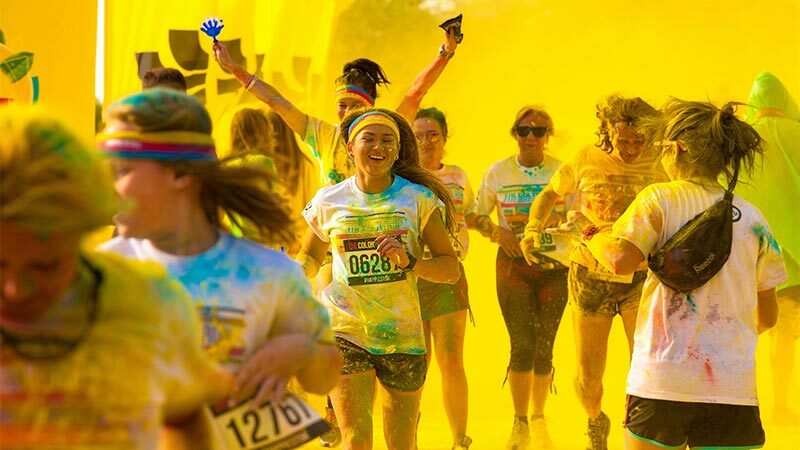 This fun event attracts huge numbers who come out to run, get covered in paint and party. Top American DJ Deorro and Vietnamese singer Tien Tien provide the music for the after race party. An incredible experience that you have to experience at least once in your life. Come and join the colorful fun! 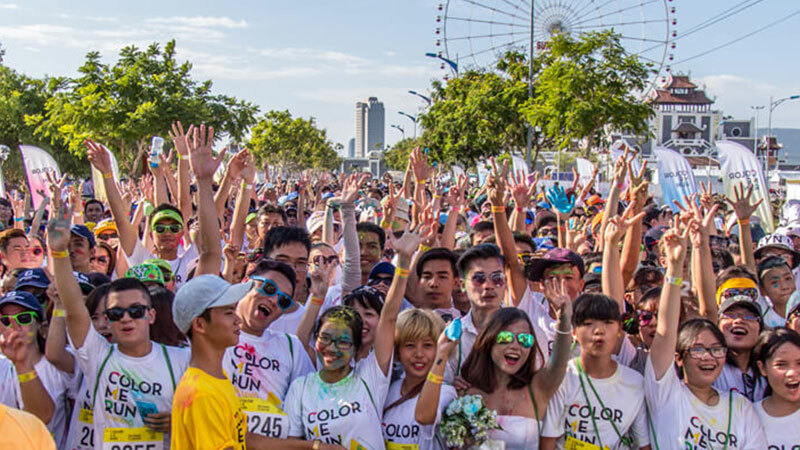 Details: colormerun.vn/ho-chi-minh.html. Tickets: VND600,000 (individual) VND520,000 (if buying five or more). Parkview are hosting an egg hunt and egg-painting corner for kiddies who dine with their parents. Easter Brunch fare includes fresh seafood and traditional dishes of roasted lamb, honey-glazed ham and Boston lobster. Also terrific chocolate decorations to charm the children. Details: +84 28 3829 4000 ext. 2200. Tickets: VND 1,200,000++ per person, including Taittinger champagne, house wine, Sapporo draft beer, soft drinks and juices. Excluding beverages: VND 910,000++ per person. Reservations must be made in advance. 15 April | From 6:00 p.m. If you're a beer lover, this is the place to be. 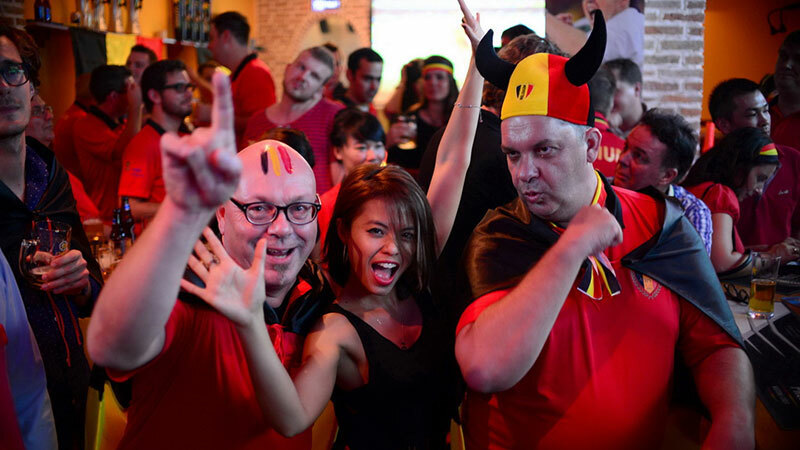 Belgian Beer Festival is offering you 50+ different Belgian beers, incredible selection of traditional Belgian Fries, Waffles and more. Entertainment is provided by Stromae and DJ Lac. Tickets: VND300,000 including 2 complimentary beer choices. Details: www.belgiumbeerfestival.com.